I have always been a Nike gal having over 6 or so pairs of Nike’s Lunar Glide (1st ed) since I started running almost 3 years back. Very loyal to my brand and model, I didn’t even bother to purchase the 2 and 3 versions of the popular Lunar Glide series. Satisfied with its performance during my 1st full mary, I wore the same model for my 1st ultramarathon. Nike started to phase this model last year so I resorted to buying a pair online. But all good things must come to an end that even online retailers do not carry this model anymore. Thus, I needed to search for an alternative. Hitler chose the Brooks Ghost 3 for me as it fits my gait (neutral). Yes, I got the exact color as the photo above. 1. Color was very feminine. I am used to the strong bold colors of Nike Lunar Glides that this was something very new to me. 2. It looks like slightly narrower than my New Balance. I have a love-hate relationship with my NB1063s. But about the same width as my Lunar Glides. 3. Weight felt lighter than my NBs and about the same as my Glides. First test run, 5k. Not bad. 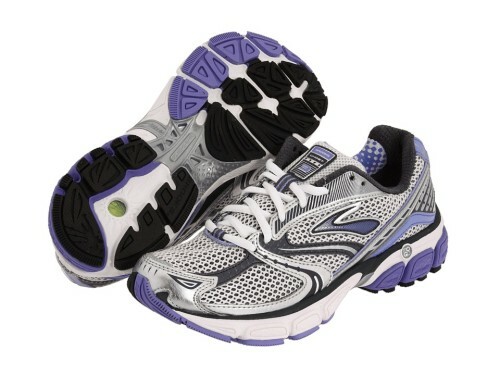 I initially didn’t feel comfortable with these shoes as I felt that it has a higher arch than my other running shoes. Weight was reasonably light. Fit was snug but comfortable. Passed but not with flying colors. Second test run, 10k. Now that’s more like it! Unfortunately, I heel strike when I run. Especially when I’m already tired. I noticed that these shoes have a very good cushioning. It also has a great upper mesh which makes the shoes breathable. I really enjoyed my run. First half marathon: I am a convert. I so love how these shoes are responsive to long distance running. It rained a bit during my run but amazingly, water didn’t get inside my shoes even with a breathable mesh upper design. I still wear these shoes until now. Ran numerous 10ks, a handful of 21ks and a 16k race wearing it. The only concern I have now is that it seems to be losing its cushioning. Then again, this is expected. I believe in these shoes so much that I bought 2 pairs for my hubby to use. He loves it too! 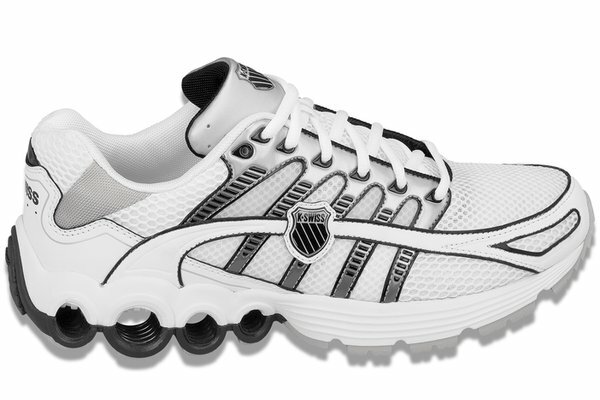 Now for my 2nd test shoes…Women’s K-Swiss Super Tubes Run 50 Shoes. I bought these online at http://www.myhabit.com and had this shipped to my local address in Manila. The entire transaction cost me $53 (P2.3k) – $38.25 for the shoes and $15 for shipping, handling and tax. I have been wanting to try K-Swiss running shoes every since I saw Luis (Gingerbreadman) wearing one during the Nike 10k We Run Manila event. I figured that maybe I can be as fast as him with these shoes. Not! Haha! 1. Nothing great. The color was blah then again maybe they have it in another color? 2. It felt a big heavy. 3. Upon wearing it, I realized that it runs 1/2 bigger. First test run, 5k. OMG! These are the most uncomfortable shoes I have ever worn! My shins were killing me the entire run. I had to awake my inner yogi to concentrate on the run and not the pain. I eventually ended the run with 1k more to go. Second test run, 5k. I tried it once again and it’s a bit better than the last time. I noticed that they only work for me when I shift my gait to mid-foot. I survived. Tempo 5k. I managed to do a 31 minute 5k run with these shoes. I survived. Guess it just takes time to get used to it. Now to continue my search for the next Gail’s Top Running Shoes.